What Good Preschool Looks Like: Snapshots From 4 States : NPR Ed What separates good preschool from bad? A new report maps out some key answers by studying successful programs. Today's release from The Learning Policy Institute, "The Road to High-Quality Early Learning: Lessons from the States," helps balance the preschool debate by highlighting a handful of states that appear to be getting pre-K right: Michigan, West Virginia, Washington and North Carolina. Here's a quick primer on each program and a few reasons why the LPI thinks it's working. State-funded pre-K is nothing new to Michigan. The state began its program back in 1985. Today, the Great Start Readiness Program serves more than 38,000 at-risk 4-year-olds at a cost of roughly $6,447 (state dollars) per child, according to the National Institute for Early Education Research. As for results, the program appears to have improved kindergarten readiness, later reading and math performance, and, ultimately, high school graduation rates. It should come as no surprise that Great Start's price tag has grown considerably since 1985, when it cost just $1 million (creating 700 part-day slots). With bipartisan support and a strong push from Republican Gov. Rick Snyder, Michigan doubled its 2012-13 pre-K budget, spending $240 million on the program in 2014-15. Given its universal program, West Virginia sits near the top of NIEER's access rankings, in fifth place, though its full-day programs generally only serve children for four days a week. The new LPI report notes that a new push toward five-day, full-day preschool will put serious strain on the ability of West Virginia communities to find, pay and retain qualified teachers. The Washington Early Childhood Education and Assistance Program is the smallest preschool effort highlighted in today's report, largely serving children whose families will earn no more than $26,730 this year (for a family of four). But, while the program lacks scale, it provides a remarkable depth of services. 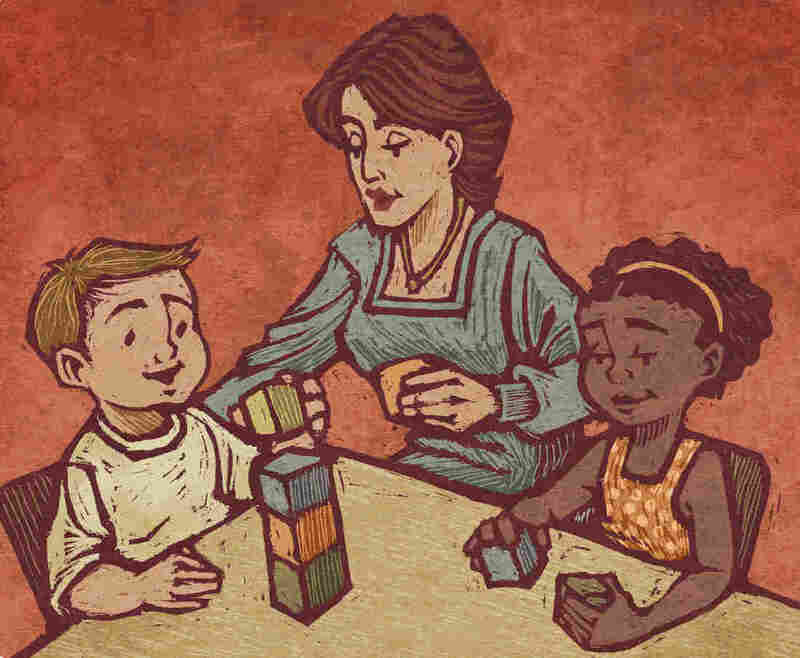 According to the report, "All classes are required to have a coach; coaches and teachers are encouraged to meet once a week"
Mandates a minimum of three hours of "documented family support per year"
It's worth noting that, while Washington's state-funded pre-K program is still relatively small, the city of Seattle has made a big move toward universal preschool for all 4-year-olds. Families earning less than 300 percent of the federal poverty level get in for free. Everyone else pays on a sliding scale. NC Pre-K, as it's now known, began in 2001 and played a starring role in a contentious, long-running school funding lawsuit against the state. More on that here. Today, it serves nearly 27,000 4-year-olds from households living on less than $51,000 a year (for a family of 4). Provides rigorous coaching for teachers, including "observational assessments and support for first three years in classroom as part of licensure process, followed by annual observational assessments and professional development thereafter"
Unlike the other states on this list, North Carolina has been scaling back its commitment to public preschool. Funding peaked in 2009 at $188 million. In 2014-15, state appropriations and lottery receipts, combined, totaled just over $120 million. The good news for the program is that, unlike those many cautionary tales we mentioned earlier, NC Pre-K appears to have lasting benefits, with low-income children who attended the program outperforming those who didn't in third-grade math and English.